Thaddeus Stevens: At the head of Lake Superior will grow up one of the largest cities, perhaps the largest, on this continent. Stephen A. Douglas: A city at the head of Lake Superior has more possibilities for the future than any city on Lake Michigan. 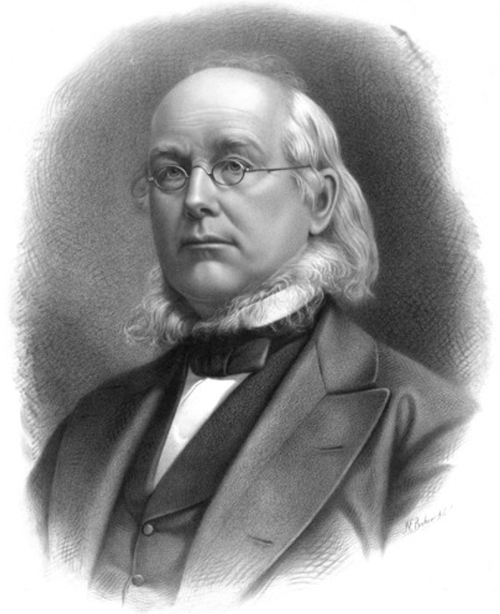 Horace Greeley: At the head of Lake Superior there will be seen a city rivaling any which, in ages gone by, has enjoyed the commerce of the East. Jay Cooke: By the lakes it is no farther from Duluth to Buffalo than from Chicago; yet the Puget Sound to Duluth is 600 miles less than from San Francisco to Chicago. From Japan to the Sound it is 800 miles less than from Japan to San Francisco, so in Asiatic traffic there is a saving of 1,400 miles. George W. Childs: I have recently received information that convinces me that Duluth is to be the great city of the Northwest. I have studied the situation up there closely and watched the trend of events. I have been surprised at the number of prominent men who have spoken to me recently of Duluth, and all have concurred in the opinion that she is to have an early and immense development. New York Sun: Duluth now boasts of “a front of fifteen miles on Lake Superior and St. Louis river and bay,” something that Rome and Athens never had in their proudest days, as Mr. Webster would say. Chicago already looks [can’t read] at the conquering progress of her North Star rival. Joaquin Miller: Chicago will be the largest city in the United States, and then in turn it must as surely give way to Duluth. I mean it. Duluth will someday rob Chicago of her glory as New York absorbed the commercial prestige of Boston. Chicago will surpass New York as New York has passed Boston. Finally another and still higher round in the ladder will be reached in Duluth. New York Evening Post: We think of Duluth as far away from Nebraska, but the distance from Omaha to Duluth is the same as from Omaha to Chicago, and of all the great country north of Omaha, Duluth is the natural outlet. London Financial Times: Duluth is at present inferior to Chicago only in size and population. It is as near as Chicago to the eastern seaboard and much nearer the great producing West. New York Times: There is a new drift in traffic at the head of the great lakes. Duluth, Minneapolis, and St. Paul are sensible of it and its cause – the movement of wheat through new channels. It is a gravitation to the shortest rail and longest water haul. Wheat no longer follows the routes of the past decade, from the Northwest to Minneapolis and thence to Chicago by rail. Most of the product of the great Red River Valley region passes north of Minneapolis directly to Duluth. This represents one-third of the whole north-western wheat product. The increasing yield of the Red river section makes it more of a factor each year. The wheat sections further south – Nebraska, northern Iowa, South Dakota, southern Minnesota and Wisconsin – show a tendency to send their crops past Minneapolis, to Lake Superior and away from Chicago. Minneapolis Tribune: When J. J. Hill obtained control of the Great Northern system he conceived the idea, which has remained with him ever since, that Duluth, at the head of navigation, held the key to the traffic situation, and would eventually become the great commercial centre of the Northwest. New York Independent: Duluth, lying at the extreme western end of Lake Superior, has a tremendous advantage in that she is 350 miles further westward than any other lake port. This means a saving of a cent a bushel on grain, the result being that the great wheat growing regions use half a dozen trunk lines in pouring their wheat products into those cities in almost untold quantities. Bradstreet’s: It is easy to believe that when even the memory of Proctor Knott shall be forgotten, Duluth will be a ruling power in the land. New York Observer: Spread a map before you, look at the immense lakes, and notice how, through these waters – the St. Lawrence river and the Atlantic ocean – all parts of the world can be easily and cheaply reached. On Lake Superior is Duluth, with one of the finest harbors in the world. Why may we not expect that there will be a steamship line connecting Duluth and Liverpool? Then look at the immense grain fields of Minnesota, Dakota, Montana, and away on to the Pacific ocean. Duluth is bound to be a great commercial centre. Already there is an advance which makes us stop, and with bated breath, contemplate the near future.